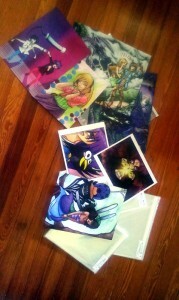 I’ve been prepping tons for Artists Alley at Amelia Con this Sept. 5-7. The AA is only open on that Saturday the 6th. 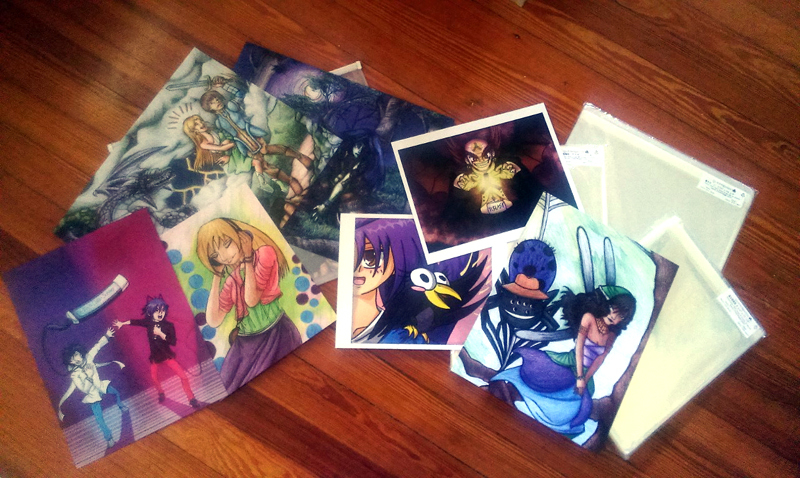 All the prints and buttons have come in for the most part. 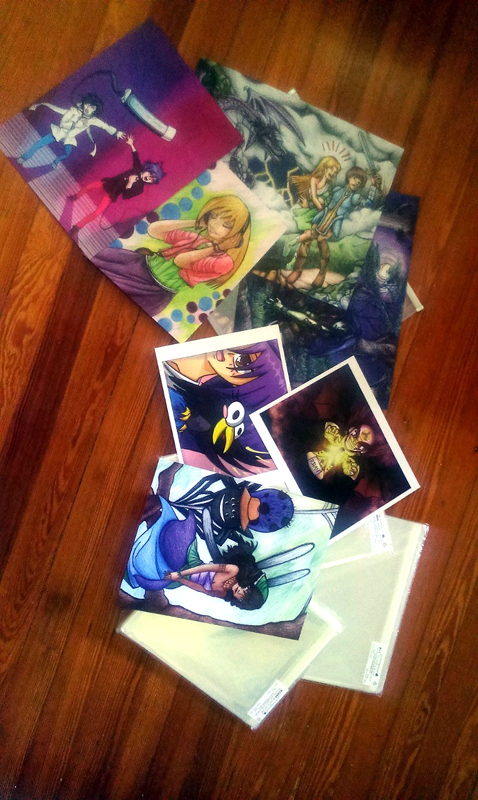 Unfortunately, the Yugioh prints did not come in yet from Cat Print due to an order mix-up. Already called them and the rest of my order will arrive this Friday. The prints I have on hand turned out fantastic and their customer service is exceptional. I’ll definitely use them again. Also, mega props to Just Buttons as well for their superb job on my Yugioh buttons. I had another company in mind at first, but my plans to use them fell through when they stopped handling small scale jobs. Just Buttons came through and I’m glad to have chosen them in the end. —This picture does not show all the prints available in my show. I wanted to show off as well the clear bags I purchased. I need to repost the Devil Survivor 2 fan art sometime (pictured upper left). 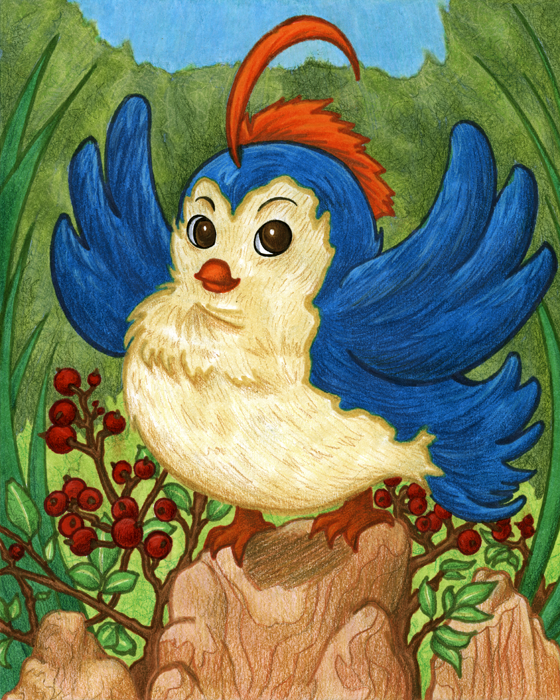 The background got a total facelift because I was totally unhappy with the way it looked when formatting it for the printing stage. —Same setup, just at another angle. 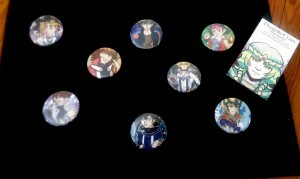 —The Yugioh buttons from Just Buttons! I also included a picture of my business card. I’ll happily take orders on anything I happen to have left over after the convention. I won’t have another show until February anyway (Sukoshi Con in Athens, GA), leaving me with lots of time to restore inventory if the need arises. As for my own feelings at the moment, I’m experiencing a crazy mixture of nervousness and excitement. I feel like I’m in a dream seeing all of this come together. A year ago, I know for sure I could never have planned things out and make them come together. My current job as a virtual assistant has taught me a lot about planning and meeting goals & expectations.